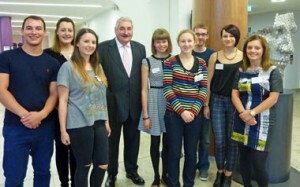 ICAEW President, Arthur Bailey, visited some of the prize-winning students enrolled on the Business Accounting and Finance degree programme at Newcastle University Business School on 17 October 2014. 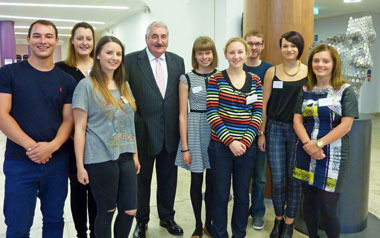 On the day of the Northern Society Annual Dinner, Arthur Bailey, President ICAEW and Charles Carter, ICAEW Director of Regions, joined Keith Proudfoot, Regional Director, Ellen Arkless of Newcastle University and Degree Programme Directors Debbie Jones and Chris Soan (Tyne and Wear ICAEW Chairman) to meet those students on the Newcastle University Business Accounting and Finance (‘Flying Start’) degree programme who had won prizes for exam performance. This was an excellent opportunity for the ICAEW President to meet and hear from students, who are studying for the ACA qualification as part of their degree programme. Over afternoon tea, the President got to hear about the sort of work that students are involved in during their work placements with PwC, a fundamental part of the Flying Start degree programme, what they wanted from the ICAEW as student members, as well as students getting the President’s views on the future of the profession. The Flying Start degree programme was pioneered by Newcastle University in 2002 and is a collaboration between Newcastle University, PwC and ICAEW. 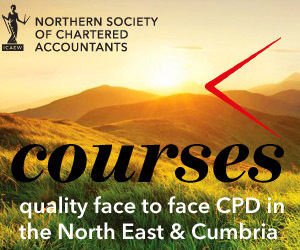 Delivered by a team of professionals, students study towards a BA Honours in Business Accounting and Finance degree, experience paid work placements at PwC and are given the opportunity of accelerated progress towards the ICAEW Chartered Accountant qualification, by completing 12 of the 15 papers of the ACA qualification.